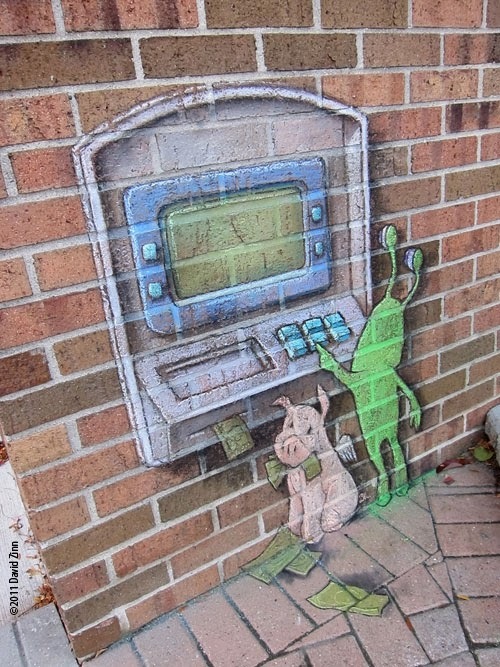 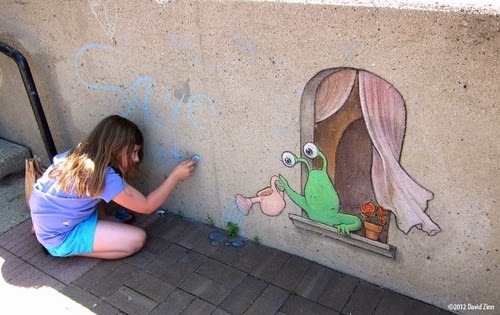 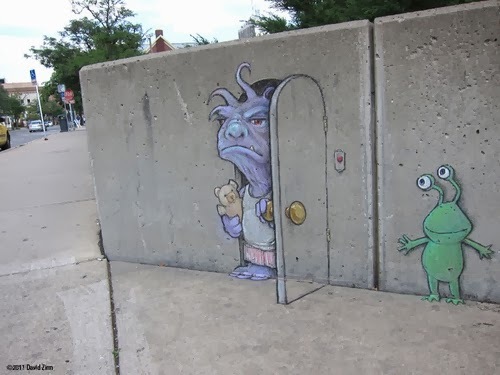 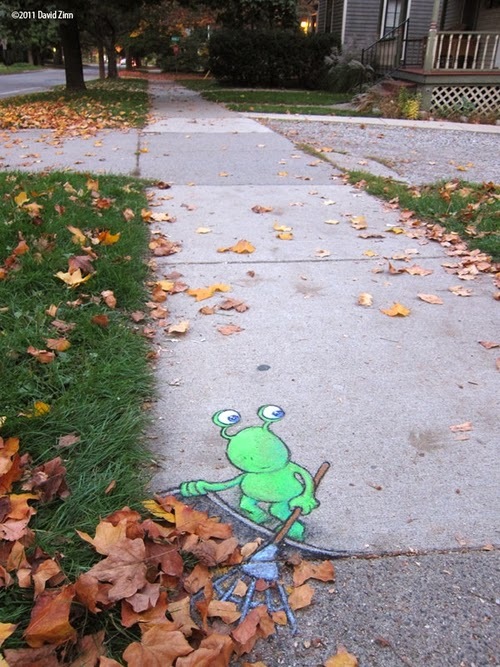 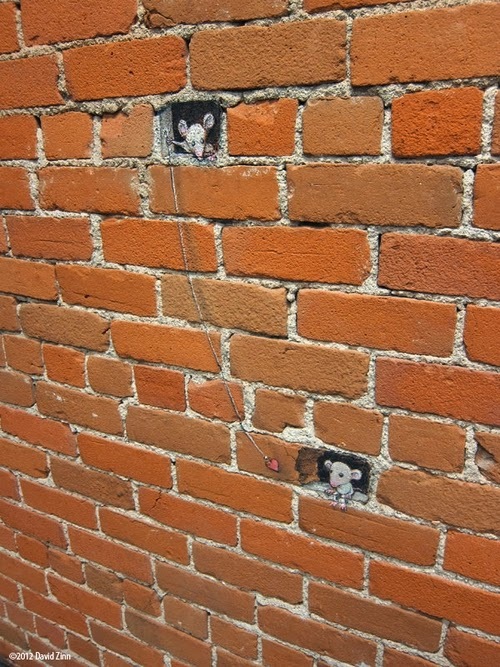 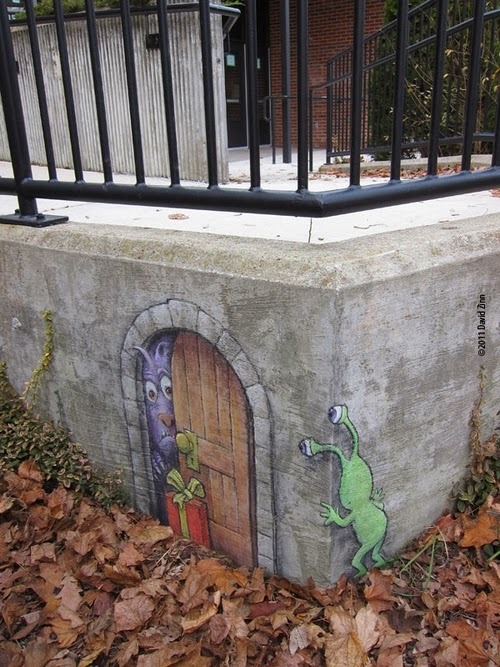 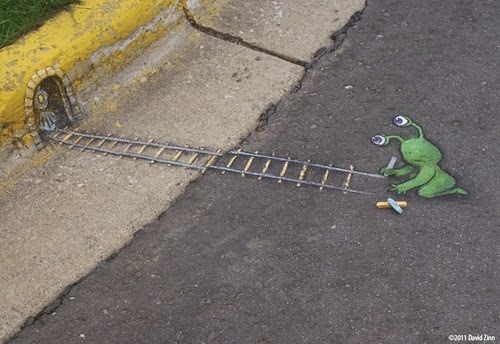 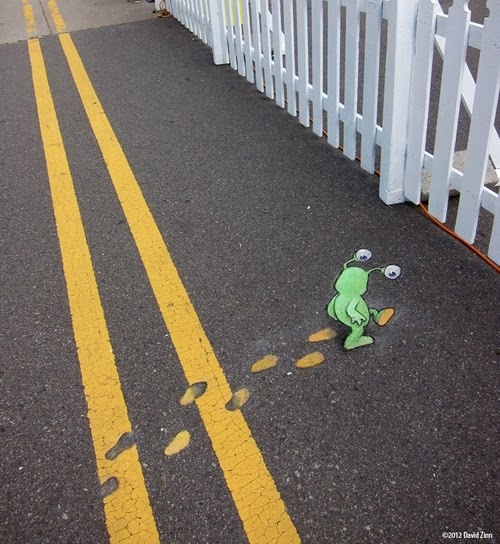 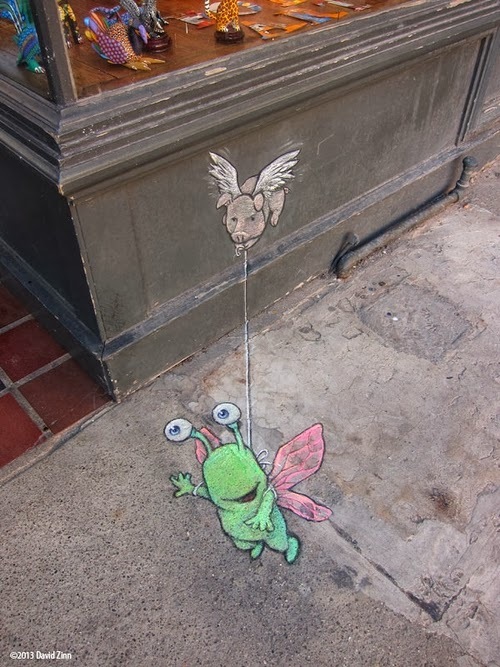 As a multidisciplinary Artist David Zinn has worn many professional hats as, Artist, actor, director, cartoonist, radio show host and he has also taught creative writing. 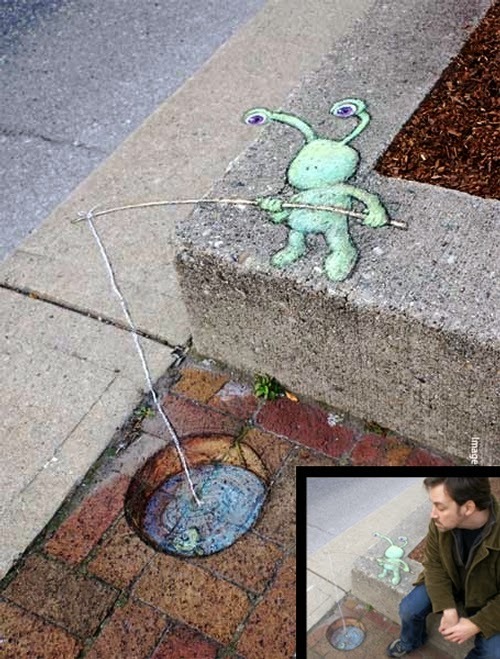 Having done all these things he still defines himself as an inveterate (firmly established) doodler. 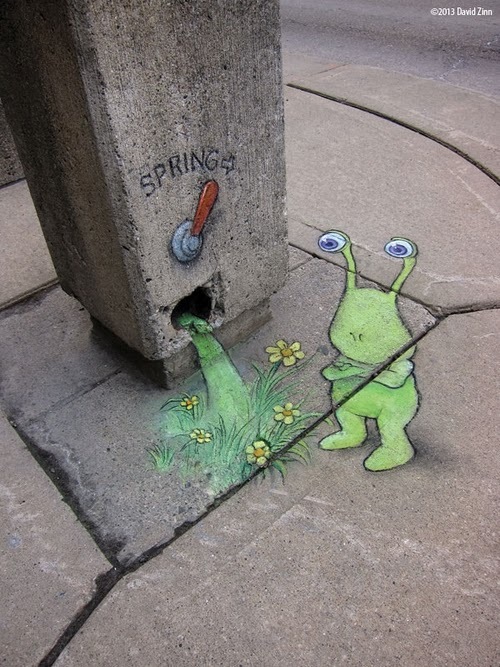 Enjoy these funny and charming images. 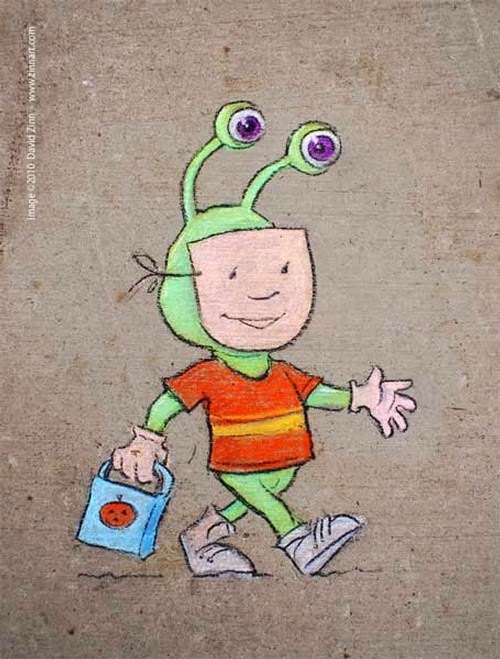 Title of the image above "Bump In the Day". 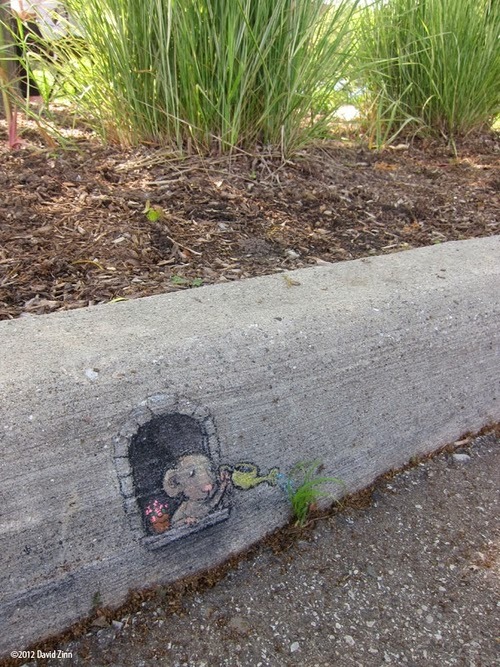 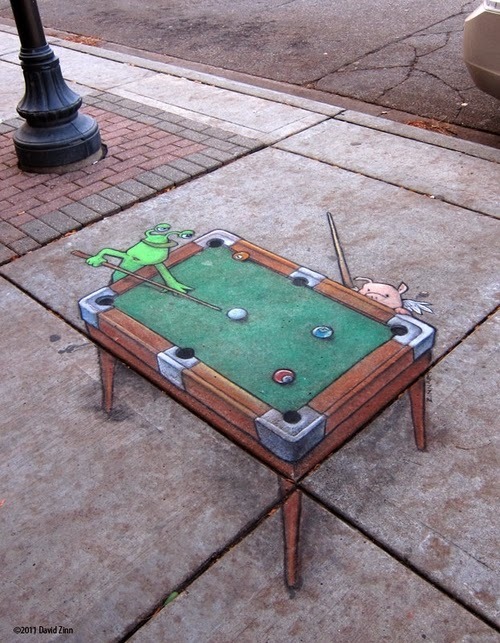 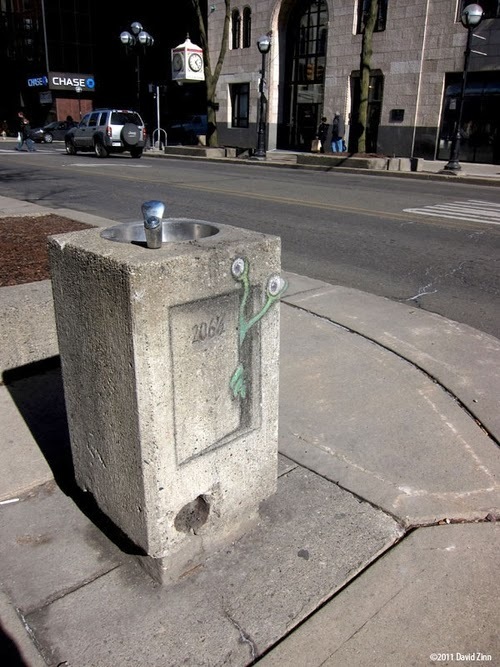 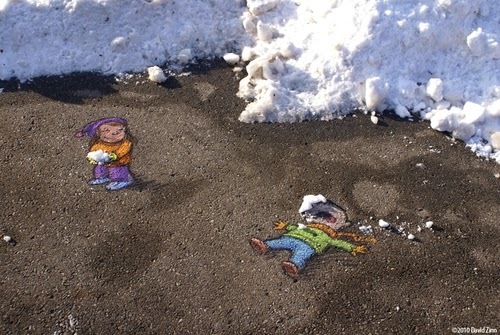 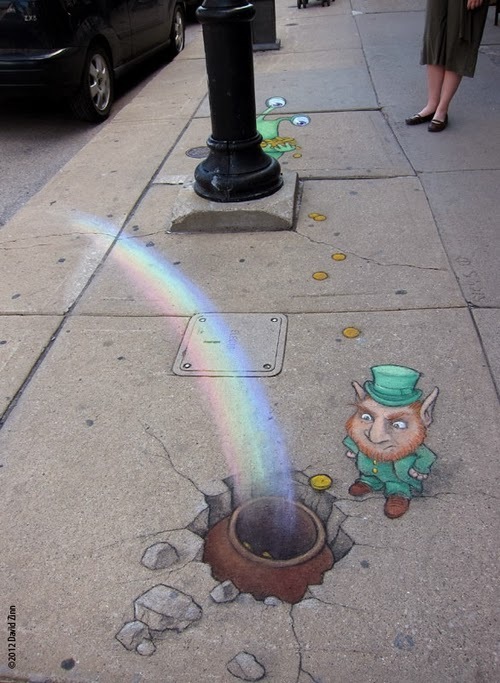 If you like this have a look at Street Art.